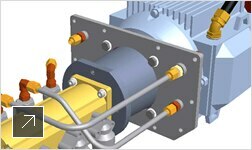 Small spaces make big demands of industrial machines. 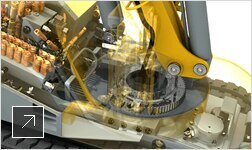 Brokk is a world leader in providing remote-controlled demolition robots to the building, process, and nuclear industries. 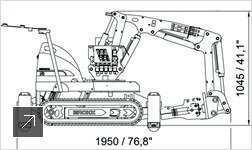 So company leaders knew that when it came to creating the most lightweight, maneuverable machine available, they had to ensure there was no demolition of power and performance. 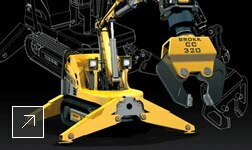 Brokk used Inventor software to integrate existing and new digital data on design, hydraulic, and electrical systems. 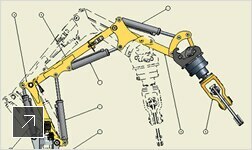 Using digital modeling to analyze range of motion and operability of interchangeable attachments, engineers were able to detect and correct errors before they began building. 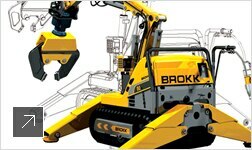 Brokk discovered the key to building profits—crushing costs and collapsing production time.